WIRT Newsletter: Retreating Highway 95 Megaloads, Montana Manufactur​ers, Idaho Resistance Prevails? Please accept our apologies for the lateness of this Wild Idaho Rising Tide (WIRT) newsletter. Expect an action alert soon, describing ways that you can affect the outcomes of the situations described here, through petitions, meetings, travels, and protests. At the Idle No More World Day of Action Idaho Solidarity on Sunday, January 27, 2013, Wild Idaho Rising Tide and Moscow Volunteer Peace Band activists chanted “Shut Down Tar Sands!” and “[Port of] Wilma, Turn That Damn Thing Around!”  Like on-the-ground, region-wide resistance to tar sands megaloads that WIRT has been working to instigate since January 2011, both vocalized WIRT goals are manifesting years later! As reported by an online stock investors journal, narrowing profit margins could spell “game over” for more than two tar sands mining ventures, as the costs of exploiting tar sands deposits continue to inflate, while the price of oil and the net financial gains from tar sands extraction remain stable or worse . French energy giant Total and lead tar sands producer Suncor recently abandoned a proposed tar sands project, Joslyn, symbolizing the world-wide challenges to industry and investors of the cost overruns of tar sands operations, likely escalated by the resistance of indigenous and grassroots activists not mentioned in the article. But, of course, the profiteers of slow, industrial genocide – powerful Big Oil companies, Canada’s economic elite, and their apologists – would never reveal such vulnerabilities of tar sands ventures, necessary pipeline easements, and extreme energy export, nor would they concede moral victory to First Nations’ legal agency, the target of extensive 2012 legislation that disenfranchised environmental and tribal protections and aggravated the rise of the Idle No More movement. Such indigenous power makes tar sands development projects vulnerable to litigation and long-term liability. Nor would Big Oil interests admit the poisoned forests, lands, and waters, deformed fish, and the higher rates of cancer and associated subsistence and social crises predominantly among First Nations and largely due to the atrocities attributable to tar sands exploitation. 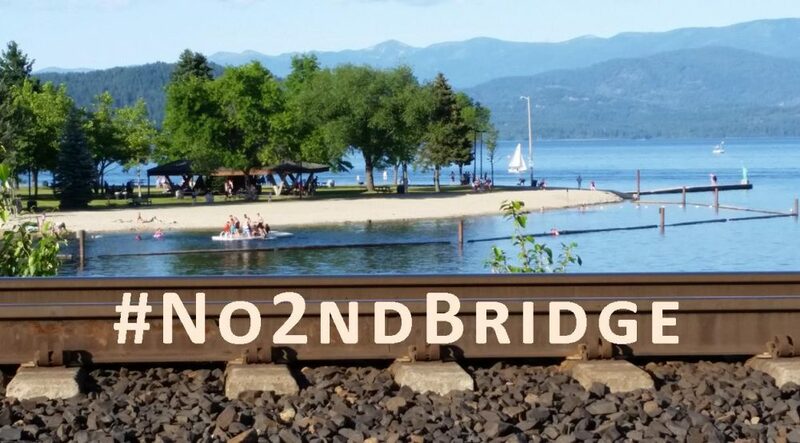 After obtaining game-changing, late-May 2014 news about megaload shipments proposed for transport through northern Idaho, Wild Idaho Rising Tide activists have scouted the Port of Wilma, across the Snake River from Clarkston, Washington, as well as adjacent river and rail transportation systems [3-6]. Since mid-December 2013, Mammoet USA South of Rosharon, Texas, has sought Idaho Transportation Department (ITD) permits to haul three hydrocracker sections stored at the port to Great Falls, Montana, where Calumet Specialty Products Partners would triple the tar sands production capacity of its Montana Refining Company. After cancelling its permit requests on April 23, Mammoet and now Bigge Crane and Rigging of San Leandro, California, are vying to carry one of these megaloads, presumably the heaviest, 661,000-pound, 40-foot-long behemoth, up U.S. Highway 95 through Moscow and Sandpoint, Idaho, and over Idaho Highway 200 instead of Interstate 90 [7, 8]. The other two components, 504,000 pounds and 573,000 pounds respectively, could travel by rail to Montana, maybe back down the Snake River on barges to the Tri-Cities, Washington, or via Watco Companies Great Northwest Railroad west from Lewiston to eastern Washington [9, 10]. As oncoming rail traffic to all of the potentially explosive but fragile DOT-111 and DOT-111A tank cars of unit “bomb trains” headed from the fracked Bakken shale region to the West Coast, the megaloads could creep north on either the Union Pacific or Burlington Northern Santa Fe (BNSF) rail lines to Bonners Ferry, Idaho, then eastward on the BNSF railroad to a spur line heading south from Shelby to Great Falls, Montana . While Wild Idaho Rising Tide awaits the results of yet another request for public records about these behemoths, we suspect that, on the basis of weight, the two lighter, end pieces of the 1,737,243-pound Calumet hydrocracker may move on the rail route via Schnable trailers and cars, which distribute the cargo weight over up to 36 axles, to avert track demolition. Such a scheme would deeply diminish the transport fee paid to whichever outfit emerges with the task of carrying the heaviest, 330-ton, middle hydrocracker section to Great Falls by road. Nonetheless, apparently two or three heavy haul corporations are competing for the Calumet contract to move the refinery expansion equipment from the Port of Wilma to Great Falls, as the Idaho Transportation Department accepts offers and plans from first Mammoet, then Perkins Specialized Transportation Contracting of Northfield, Minnesota, and now both Mammoet and Bigge. But shipping megaloads on trains through northern Idaho is not any safer than dragging them with trucks and trailers over neglected roads and bridges. The targeted Burlington Northern Santa Fe railway near Crossport, east of Bonners Ferry, Idaho, recently suffered two train derailments in one week on the same stretch of track [12, 13]. The second, May 22 accident at 2 am thankfully spilled no hazardous materials into the nearby Kootenai River, which was flowing higher for sturgeon spawning, only crushed bentonite clay, beer, grain, and general merchandise. Nineteen cars in the mid-point of the 116-car train that ironically originated in Great Falls, with a destination of Pasco, Washington, accordioned, twisted, and piled up, destroying both parallel sections of BNSF track. Remediation crews, a hazardous response team, and heavy equipment converged from as far as Havre, Montana, and Pasco, and worked night and day for 30 hours, to clean up the wreck and re-open the bottlenecked rail line to multiple passenger and freight trains. While BNSF scrapped and hauled the damaged cars away from the crash site near Katka Mountain during four weeks, the cause of the derailment remained under investigation. Meanwhile, other railway infrastructure has been crumbling for decades, such as the bridge buttressing south bound tracks over Sportsman Access Road connecting Highway 95 to Westmond, Idaho, next to Cocolalla Lake, where double-decker container shipments, coal and oil tankers, and looming tar sands equipment could overwhelm already weight-stressed rail lines [14, 15]. Can regional rail system structures withstand the exorbitant weights and widths of megaloads or their addition to the currently strained rail traffic capacity imposed by dangerous oil and coal cars? Both train and road transporters seem willing to risk public and environmental health threats. In August 2011, while ExxonMobil/Imperial Oil pushed 350 tar sands processing plant modules weighing up to 415,000 pounds and measuring 250 feet long through the Northwest, Perkins Specialized Transportation Contracting hauled four immense, decommissioned steam generators from the San Onofre Nuclear Generating Station in southern California to a disposal site in Clive, northwest Utah [16-18]. The company created colossal, 400-foot trailers with 192 wheels and 48 axles and used two puller and four pusher 600-plus horsepower Mack Titan 16L tractor-trucks to maneuver the largest ever vehicle to travel over flat terrain and grades on California roads, defended by armed guards along a secretive route. Will Perkins reuse the same mega-megaload trailers, trucks, and configurations on the Lewiston Grade and in Idaho that it employed to carry the enormous, 760,000-pound, 43-foot-long, possibly radioactive power plant generators that were once considered immovable? Even while Indianapolis, Indiana-based Calumet exceeds $5 billion in total annual sales for the first time in 2013, earning the independent producer of hydrocarbon and fuel products a position as number 467 on the 2014 Fortune 500 list of the largest U.S. companies, it struggles to triple its tar sands production at its Montana refinery . Although installation after uncertain and troublesome transport of the rusting steel hydrocracker hulks constitutes the linchpin in Calumet’s Great Falls refinery expansion and its vast plans to construct new bitumen production plants and ascend to the Fortune 100, contaminated soil removal under several displaced large tanks at the site is additionally causing project problems . Federal Railroad Administration and U.S. Department of Transportation regulations strictly mandate that railroads moving cross-country trains containing 20 or more cars of hazardous material must re-route through low risk areas at slower speeds. Calumet may have required over 100 rail cars to haul away 15,000 cubic yards of dirt sullied mainly by lead and gasoline, making more than one unit train or several intermixed cargo trains its only options. With only a few days of work left on the months-long excavation and removal process, the slow return of empty train cars from the soil’s destination at a hazardous waste facility in Indiana could delay expansion project construction one or more months past its August 1, 2014 start date. The creator of the three heat exchanger units of evaporators that Omega Morgan lugged from the Port of Umatilla, Oregon, through eastern Oregon, southern Idaho, and western Montana, to underground Alberta tar sands mining operations last winter plans to build similar fossil fuel infrastructure components near Missoula, Montana [21, 22]. Harris Manufacturing, the Montana subsidiary that emerged last November from Newberg, Oregon-based, megaload maker Harris Thermal Transfer Products, is converting part of the former Stimson Lumber Company mill site on the banks of the Blackfoot River in Bonner, six miles east of downtown Missoula, into a massive fabrication facility. Commencing in fall 2014, it plans to construct heat exchangers, pressure vessels, and wastewater treatment equipment for various industries, including tar sands and Bakken shale oil extraction projects in Alberta and North Dakota and Northwest pulp and paper mills. Harris Manufacturing plant establishment represents part of a broader economic development scheme to re-establish Missoula’s heavy industry sector and replace the estimated 500 skilled jobs lost with closure of the Smurfit-Stone Container Corporation and Stimson mills over the past decade. Since early May, the Revenue and Transportation Interim Committee of the Montana Legislature has met and discussed and explored impediments to private, cooperative funding of oversize vehicle routes. As criticism mounts against separate Missoula city permits and fees for megaload passage, Republicans at the capitol in Helena are asserting pressure to officially identify a high and wide corridor for overlegal traffic through the state. The currently utilized, informal route stretches from Bonner, east on Interstate 90 to North Dakota and northeast along Montana Highway 200 through the Blackfoot valley glorified by the movie A River Runs Through It, to the Rocky Mountain Front and Alberta. Montana megaload opponents have argued for over four years that shipments on Highway 200 could impose myriad public safety and environmental concerns. With U.S. Highway 12 in Idaho temporarily blocked in federal court to megaloads through the Nez Perce Reservation and the Middle Fork Clearwater and Lochsa wild and scenic river corridor, and continued resistance to U.S. Highway 95 tar sands mining and refining equipment diverting haulers to other rail and highway routes, Highway 200 could become the next megaload battleground. Many residents of the Blackfeet and Flathead (Confederated Salish and Kootenai) Reservations, Missoulians, and Reserve Street megaload blockaders cannot bear to have equipment fabrication and assembly plants that aid and abet the most destructive, life-killing, industrial operation on the planet so close to their homes and businesses. Wild Idaho Rising Tide calls on our comrades among Montana tribal and climate activists on the other side of the Bitterroot Mountains to travel with us and/or attend the Tar Sands Healing Walk through tar sands ground-zero near Fort McMurray or organize solidarity actions or protest gatherings on the same day as the walk on Saturday, June 28, like in Montana and Utah. We also welcome Montanans to join Idaho and Washington WIRT members in scouting for the third time the Montana megaload route and module manufacturing plants. All of these efforts present great opportunities to visit and raise your voices high against the perpetrators of climate change. It has been a wild year of ongoing megaload resistance activities among indigenous allies, Rising Tide activists, and the movement against tar sands, megaloads, and climate change, increasingly growing across the Northwest, as citizens also challenge oil and gas drilling in southern Idaho and dusty coal and explosive oil trains moving from the northern Great Plains toward proposed Oregon and Washington export terminals. Musically talented activists like Roy Zimmerman, Melanie Harby, and WIRT’s own Jeanne McHale continue to fan the impassioned flames of direct action, while the People’s Music Network chose their song co-written for WIRT and Tom Hansen, The Tide Is Rising, as one of five June 2014 climate crisis songs of the month . Congratulations and gratitude to everyone who embodies this great rallying cry and acknowledgement of people power in the movement against fossil fuels. Megaload movers and makers have spent plenty of money on changing their opposition-beleaguered game plans, as Idaho and Northwest megaload resistance on all fronts has forced companies to move east over the mountains and closer to the Canadian border, to avoid tar sands protesters. Two of the three pieces of Great Falls, Montana, tar sands refinery expansion equipment stranded at the Port of Wilma may become the first ever megaloads to physically retreat via river and/or rail from Lewiston area ports, thirty miles south of Moscow. And attempts to haul massive loads to the Alberta tar sands via Highway 12, part of the wild and scenic Middle Fork Clearwater and Lochsa Rivers corridor, are still stalled by mediation between the Forest Service and the Nez Perce Tribe and Idaho Rivers United, even after the Forest Service completed an inadequate corridor values study and consulted the tribe, as required by the temporary injunction imposed by Judge Winmill’s federal court in Boise last September 12. Not to mention the fierce, hundreds-strong protests that the Nez Perce Tribe and allies mounted in August 2013, to blockade an Omega Morgan-hauled megaload over its four-night struggle across Idaho. When the heavy hauler pursued another alternative route through eastern Oregon, southern Idaho, and western Montana – besides the sacrifice zone of Highway 95 and Moscow, trampled by five dismantled megaload pieces in fall 2013 – wide-ranging efforts ensued to block Alberta tar sands equipment from ALL highways, including interstates, in Idaho and the four-state Northwest . Five Rising Tide groups and numerous tribal activists, among the Confederated Umatilla Tribes and Warm Springs Tribes in Oregon and Indian People’s Action in Montana, confronted executives and workers at corporate headquarters, state agency offices, public meetings, in an Oregon court, and in the roads of three states, from mid-November through mid-March. In Idaho, leaders and activists of the Coeur d’Alene and Shoshone-Bannock Tribes and conservation and climate change organizations have submitted extensive public comments, offered public informational meetings, and/or staged numerous demonstrations to banish tar sands infrastructure from Interstates 84 and 90, U.S. Highways 20, 26, 93, and 95, and Idaho Highways 19, 28, 33, 78, and 200. Since February 2011, these colossal transport operations have delayed, confused, and blocked public highway access and traffic, impeded public and private emergency services, collided with vehicles, tree branches, cliffs, and power lines, caused personal injury and property damage, and cost the Idaho Transportation Department hundreds of thousands of dollars in administrative costs and road maintenance not covered by oversize vehicle permits. But relentless activism has staged myriad protests in the Idaho courts and streets, from the forested northern panhandle to the southern desert plains over four-plus years, effectively repulsing corporate profits that usurp Idahoans’ best interests and convert remote, rural Idaho roads into economic and environmental sacrifice zones for distant industrial developments. In 2011, Wild Idaho Rising Tide put out this call to action: “Keep up your creativity and resolve under pressure, dear comrades! Allies elsewhere, we are under escalating siege and need you by our sides, either physically or fiscally.” The words still ring true. Whether Michigan, South Dakota, or Idaho, the fight against tar sands infrastructure is only escalating and it needs all of us . If you appreciate direct activism that has seriously stopped, stalled, or sidetracked these infrastructure projects, please contribute to WIRT at WildIdahoRisingTide.org/Support-WIRT/ or the following address. Thanks for everything you do to halt climate change!